3-69: He can’t be that hard to spot. Nobody is planning anything very well on this page. Yay! Gabry has a quest for us! ….Explain what the hell is going on? man, this is gonna be a hard quest. i’m gonna check and see if the reward is worth it. 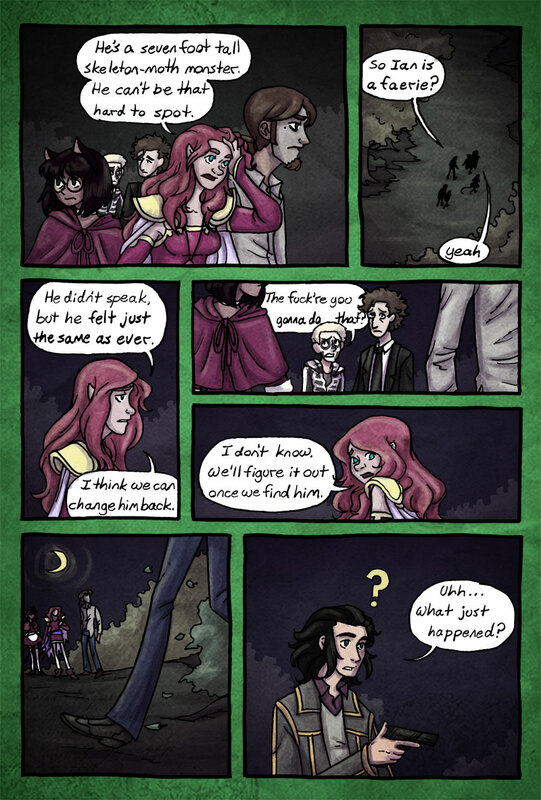 also, Nicole’s hair suddenly got amazing this page. residual faeiry energy? What just happened is that the special containment procedures for faeries need updating. The wrought-iron fence wasn’t enough, so they need to upgrade to a standard 5m x 5m x 3m steel cell rated for Euclid-class anomalous humanoid containment.